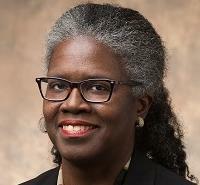 Dr. Claudia Owens Shields is an Associate Professor in the Clinical Psy.D. Department here at The Chicago School. She is a Licensed Psychologist, specializing in Multicultural Community Clinical Psychology, and is a graduate of the California School of Professional Psychology at Alliant International University. She completed a postdoctoral fellowship at the Counseling Center at Whittier College, where she treated substance use disorders, affective and anxiety disorders, and issues of normal development. She later provided psychological services at the Student Health Center at Mt. San Antonio College, where she also launched the college's Ally Program, dedicated to suicide prevention for LGBTQ students, faculty and staff. Dr. Shields worked extensively on hate crime prevention, and diversity and leadership programs for the City of Azusa, Azusa Police Department, and the Azusa Unified School District. Dr. Shields maintains a small private practice, and draws from her wide range of experiences when teaching. Dr. Shields has taught psychology at the graduate level for 22 years. Dr. Shields also has 30 years of administrative experience, including serving as Department Chair of the Clinical Psy.D. Program, Director of Clinical Training for Antioch University, and as President and Executive Director at a non-profit organization in Century City. During that time she received commendations from the Mayor of Los Angeles, California's Governor, and was also named a Woman of Achievement by the Century City Chamber of Commerce. M.A. Multicultural Community Clinical Psychology Calfornia School of Professional Psychology at Alliant International University. Ph.D. Multicultural Community Clinical Psychology Calfornia School of Professional Psychology at Alliant International University.